Eggs and Bacon. Batman and Robin. 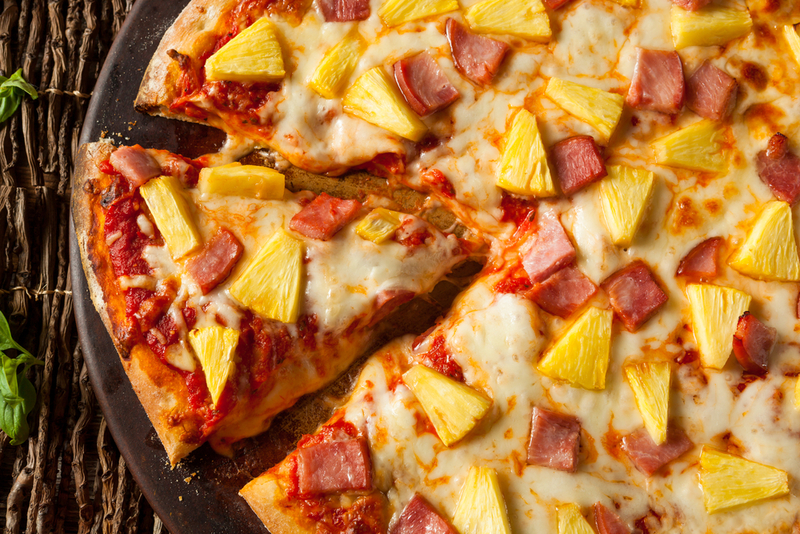 Pineapple and Pizza. You've probably heard of these powerhouse pairs, but for inbound marketers, there's one pair that really stands out: content and marketing. 91% of B2B professionals use content marketing as part of their strategy, but how much of that is top-notch, compelling, valuable content for their intended target market? I’ll tell you, a lot less. Let’s talk about that, shall we? Like any other marketing strategy, content is directed toward a particular target audience. However, that target audience takes on a little different spin when compared to your traditional outbound marketing. For outbound marketing strategies the scope of that target audience is generally quite large. It may contain all the people in a group of zip codes, a television viewing area, a newspaper distribution area or some other large contact area, and yet have the message be targeted to a specific group. For example, single women between the ages of 35 and 50 years old with a college education and an average personal income of $60,000 to $100,000 per year. However, any of a number of other demographic elements could be selected depending on who the marketing company is wanting to appeal to in order to maximize the sale potential of its product. Content marketing is generally the same, except that there is a lot more freedom with the length of the messaging since we are not being billed by sound bytes or word count. The focus for the blog material is generally to provide information and instruction to the person who clicks on it. This means that the content creator needs to have a particular set of characteristics or demographic elements in mind when creating the content and developing the title. Blog content specifically, tends to be a little more casual than most outbound marketing items (hence why I can make so many really bad jokes, you’re welcome). The idea is to connect with the blog reader in a more personal way. Therefore we develop the “persona”. In fact, we are so focused on personalizing the individual personas, that we even give them names. As an example, for our team, our medical equipment planner is named Max. He is in his late forties and has a bachelor’s, or higher, an academic degree in electrical engineering, biomedical engineering, architecture or other construction disciplines. He earns around $65,000 to $75,000, and can range from $40,000 to nearly $100,000 per year. Max is a pretty technical kind of guy and likes to be challenged on a daily basis. He works with the hospital administrator, architect, space planner, project manager, and contractor to plan, specify, design space for - and oversee the purchase and installation of - the equipment for the newly constructed, expanded or remodeled medical facility. From the largest piece of imaging equipment to the smallest trash can, Max helps the hospital make equipment decisions to support the purpose, design, and function of the proposed facility. He knows the equipment options and the facility so well that he can help the hospital select the proper new equipment and identify equipment that can be re-used and moved and equipment that should be discarded or donated. Our Chief Nursing Officer is Carla. Carla is the highest ranking nursing professional. She is both an administrator and clinician. She occupies an office in the C-suite (literally or figuratively) of the facility and is a key decision maker. She is in her mid- to late-fifties with an authoritative presence. She carries herself with dignity and an air of confidence. She is well educated with a bachelor of science in nursing (BSN) degree, or possibly a master of science in nursing (MSN) degree, and possibly an MBA, as well as being a registered nurse (RN). She has likely been a staff nurse, nursing supervisor and nurse manager with demonstrated managerial skills before achieving the role of DON/CNO. She generally spends her day interacting with other C-suite members in an effort to better position the facility both clinically and financially. Part of her day may be spent with various nurse managers, together or individually to find ways to implement evidence-based best practices and comply with governmental requirements in a financially sound manner. Carla is a key player in purchases and programs that have to do with clinical excellence, patient care, staffing issues, workflow, and most other issues that affect how well the hospital functions. While of course not all Chief Nursing Officers are named Carla, nor all medical equipment planners named Max (shout out if you are though), through the development of the specific personas, writers now have a particular someone to relate to; to inform, educate, and influence in favor of our client’s products and/or services. It personalizes what otherwise is just a set of demographic elements. Personally, I would rather talk to a person than a set of statistics, since I have found that numbers are not very conversive. It also makes me appear like I have a lot of friends when asked about work during family get-togethers.